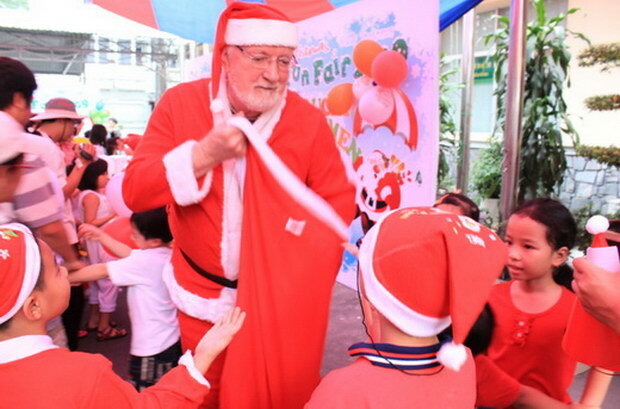 On the twentieth of December, 2009, SEAMEO Kiddy programs organized Christmas Fun Fair for all Kiddy students. This annual event is highly appreciated as it meets the expectations of Kiddy students as well as their parents. With 30 game booths, the Fair attracted the participation of more than 1,500 students. 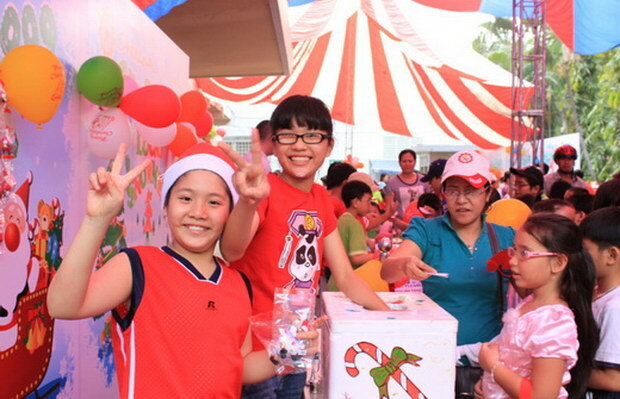 Apart from booths conducted by Kiddy Staff such as statue coloring, fingerprint, sand picture making, card making, face painting, and do- it -yourself, there were a variety of game booths organized by Kiddy teachers and students. This event not only served as an exciting playground for Kiddy students but also encouraged them to develop their creativity, organization skills, and artistic talents.